Experience : Minimum 20 Years’ experience in Planning, Provisioning, Inventory, and Budget control of Aircraft Spares. 01 Master’s in Business Administration with Minimum 15 years’ experience in Inventory / Warehouse Management of an airline/MRO. Exposure in ERP system and Aviation IT MRO system. 01 Graduation in B.E / B.Tech with Computer Application or Degree in Computer Science. Experience : Minimum 3 years of working experience in – Data Center Management. The selection will be on the basis of Written Test, Personal Interview, Pre-employment Medical Examination. Eligible candidates may send their application in prescribed format (attached below) accompanied with 02 recent (not more than 6 months old) passport sized coloured photographs to The Chief of HR Air India Express Limited Airlines House, Durbar Hall Road, Near Gandhi Square, Kochi- 682016 on or before 03 Mar 2019, along with self-attested photocopy of Educational qualification, age, cast, NOC etc certificates and testimonials. 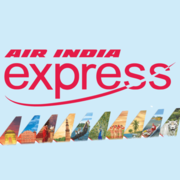 Air India Recruitment 2019 - Apply Online for 13 Security Agents Posts in Air India, Srinagar, Jammu & Kashmir on Contract Basis. 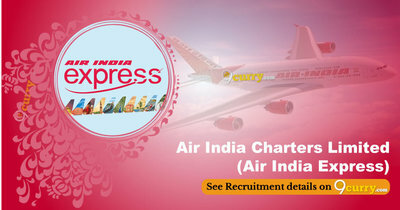 Online Applications are invited by Air India Limited from 24 Apr 2019 to 09 May 2019 for 13 vacancies.